How An Angel Changed My Life by C.P. Six years ago, I lost my children, the little bit of self-esteem I had, and my freedom. I was twenty-nine years old, and I was remanded for ten months, awaiting sentencing. I felt hopeless! After a few months of incarceration, I became so bored that I decided to attend the G.E.D. program at the jail. I knew in advance that I would struggle with Math because I always have. What did surprise me, however, was my struggle with writing; I had excelled at it during my entire childhood. You see, writing is my true love; it’s my safe place. 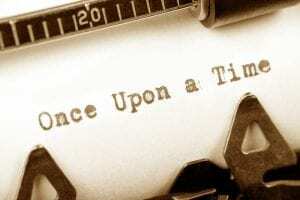 Writing is where the whimsical comes to life and happily-ever-afters do come true, so not to be able to put pen to paper in any kind of order was devastating! I wanted to give up within the first ten minutes of class – right after I threw a temper tantrum that would rival any toddler! Sensing my frustration, my teacher, Joy, calmly approached me and, with her gentle demeanor, calmed my frayed and haywire nerves. She then patiently encouraged me to continue and I did. Every day, with Joy’s support, encouragement and optimism, I progressed. Within a couple of weeks, I, too, could start to see improvement. I was elated! It was around this time that there was a province-wide essay competition about how taking the G.E.D. class has changed our lives. Now Joy, being Joy, encouraged everyone in the class to write an essay, but for some reason, she put a special emphasis on me producing one. I was hesitant at first, but because of Joy’s relentlessness, I, too, wrote an essay. A couple of weeks later, I walked into class and Joy was beaming and antsier than usual. When we were all seated, she excitedly proceeded to tell us that I had won third place in the competition. I was shocked and speechless! I had received a personalized letter from the children’s author, Sheree Fitch, a book and one hundred dollars as well. For the first time in my life, three amazing things happened to me: I felt proud of myself for something I had earned because I am talented enough to earn it; second, that someone believed in me enough to encourage me, albeit incessantly, I might add, and not give up on me; and the third amazing thing is the realization that God loved me enough to send me my very own angel to help me believe in not only Him and myself, but in humanity also. No matter how I acted, what I thought or how I felt, Joy never gave up on me. Joy always said that if she could change one person’s life, it would make everything she does worth-while. Well, I can now proudly say that I’m a writer. No matter where I am or what I’m doing, I will always write. Joy has definitely changed my life! There are no words to adequately express my gratitude for the impact she has had on me; but now, because of her, I aspire to be as optimistic, encouraging, helpful, but above all else, patient with others. This is how an angel changed my life.